Washington, DC – Today, the American Bus Association (ABA) – the industry leader advancing North American motorcoach, travel and tourism – announced Omaha, Neb., as the site of its 2020 Annual Meeting & Marketplace. The dates of the 2020 Marketplace will be Jan. 10-14, 2020. This is the first time ABA has come to Omaha for its annual event. "We look forward to bringing our ABA Annual Meeting & Marketplace to Omaha in 2020," said ABA President & CEO Peter Pantuso, CTIS. 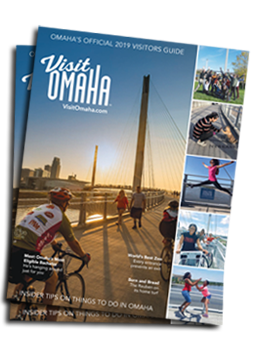 "Omaha offers a lot for the travel and tourism industry and we look forward to showing our members a great city and encouraging them to add Omaha to their destination offering." The American Bus Association (ABA) is the trade organization of the intercity bus industry with more than 1,000 motorcoach and tour company members in the United States and Canada. Its members operate charter, tour, regular route, airport express, special operations and contract services. Another 2,800 members are travel and tourism organizations and suppliers of bus products and services who work in partnership with the North American motorcoach industry. For more information visit www.buses.org.